Though the headmaster claims that the food had been re-cooked after the reptile was found, students alleged his statements as false. 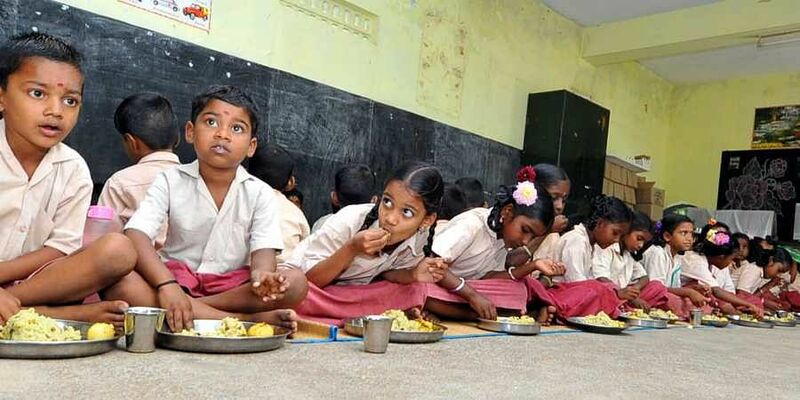 BALASORE: As many as 22 students of Kharida New Primary School at Kamarda in Bhograi block fell ill after having mid-day meals on Wednesday. The students were admitted to Kamara hospital and later shifted them to Gopikishan Bhattar Community Health Centre at Jaleswar after their condition worsened. School headmaster Sudhir Kumar Jena said the children were served rice and egg curry at around 1.30 pm in the afternoon. A few minutes after having the lunch, the students started vomiting and complained of head reeling and stomach ache. Some even suffered from loose. The headmaster said after a lizard fell in the egg curry, the dish was prepared again and served to the kids. However, the students alleged that the same curry, which had the lizard in it, was served to them.“It seems to be a case of food poisoning as is evident from the bouts of vomiting, headache and loose motion,” said Dr Ganesh Chandra Pal who treated the kids. He said though all the students are out of danger, they will be kept under observation in the hospital for 24 hours. As per Government guidelines, the staffers involved in cooking the mid-day meals should taste the food before it is served to children. However, this rule is hardly being followed, alleged some guardians.